Huddersfield Giants moved off the bottom of the Super League table with a demolition of Hull KR, while leaders St Helens also won big to maintain their 100 per cent start. The Giants had triumphed in just one of their opening six matches and were rooted to the foot of the table before Friday's match, but they ran out 42-8 victors at the John Smith's Stadium. Huddersfield were in control from the moment Kruise Leeming crossed for the opener after 14 minutes, with Oliver Roberts and Darnell McIntosh also going over before the break. 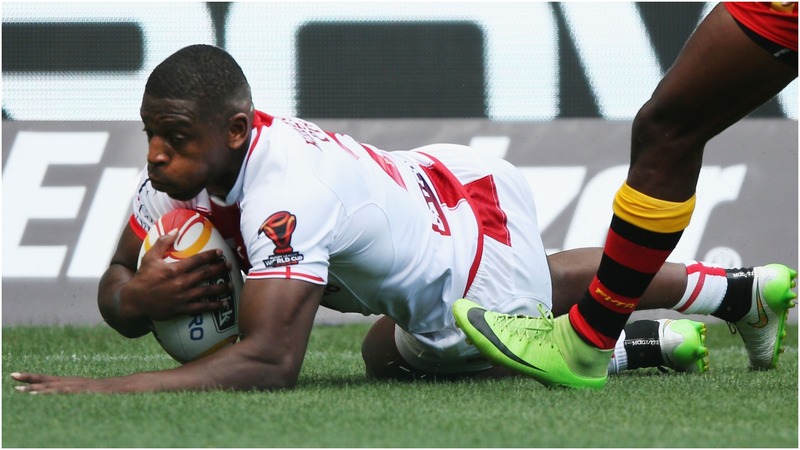 Leeming got his second within two minutes of the restart and the hosts accelerated out of sight as Jermaine McGillvary went through twice in quick succession. The scoring slowed and Weller Hauraki got a try back for Rovers, but Suaia Matagi stretched the Giants' lead again in the closing stages to cap a much-needed triumph. FULL TIME - GIANTS WIN! The Claret and Gold secure their first home win of the season!!! St Helens' victory was far less surprising but no less ruthless as third-placed Castleford Tigers were put to the sword on their own patch. The Saints scored eight tries in a 42-12 rout, leading 18-0 at the break as Lachlan Coote, Regan Grace and Dominique Peyroux went over. Further tries followed through Zeb Taia, Louie McCarthy-Scarsbrook, Mark Percival, Peyroux and Jonny Lomax, although Michael Shenton and Jacob Trueman at least got the humbled hosts on the scoresheet.